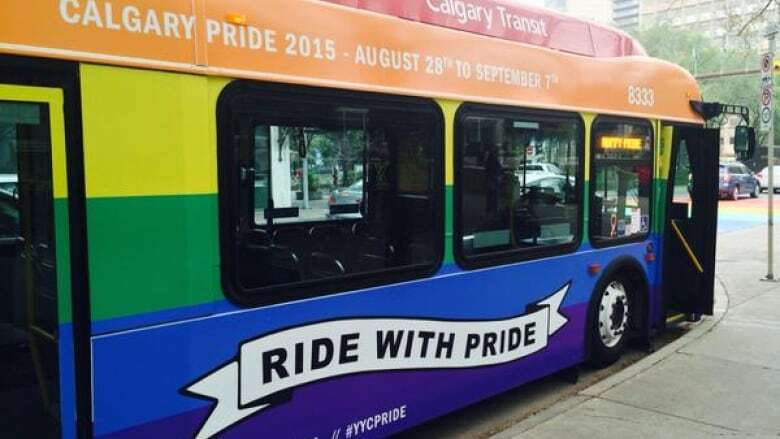 A Calgary Transit driver says he will quit his job if he's assigned to drive a bus wrapped in a rainbow flag. A Calgary man says he will quit his job if he's assigned to drive a bus wrapped in a rainbow flag. For the annual Calgary Pride Festival, which starts today, a Calgary Transit bus has been wrapped in the symbol of inclusiveness. The rainbow flag bus will operate through Sept. 7, the day the Pride Parade is being held. Jesse Rau, who has worked for Calgary Transit as a driver for about a year, said he's a Christian and can't support homosexuality. Rau hopes Calgary Transit and the Amalgamated Transit Union will support drivers who don't want to drive the rainbow bus. Doug Morgan, director of Calgary Transit, said drivers can only refuse to work based on safety issues. "What we would do is open a dialogue with them and chat with them and ask them about their issues and making sure we're being sensitive to their beliefs, but overall the service has to go out and we would ask them to drive the bus," Morgan said. Rau said he hopes he would be assigned to another bus. "I have a family to support and I am very concerned about losing the job ... but when it goes against the most important things I stand for, or if I'm asked to compromise in such a big way for what I believe to be right, then I have to lose my job," Rau said. Labour Lawyer Tom Ross said the case is not a simple one. "There are human rights obligations on the employer to accommodate religious beliefs within the workplace," Ross said. But he adds it doesn't appear Rau can make the argument that simply driving the pride bus would imply support for any belief or lifestyle. Meanwhile, Rau has declined to make any further comments to the media. Artur Pawlowski, Rau's pastor, said he's afraid of losing his job after his story went viral and his employers put a gag order on him. "He was blackmailed in a 'nice' — politically correct 'nice' — way [to not] talk to the media," said Pawlowski, who heads Street Church, a controversial ministry that feeds the homeless and stages provocative protests. Despite the controversy, Calgary Pride's director of government affairs, Craig Sklenar, said the bus is a symbol of progress. "It's a sign of the change in Calgary," said Sklenar. "There's still much to do in as much as LGBTQ rights are concerned, but we are excited there is such public displays of pride across the city over the next few weeks."